is a solutions-oriented facilities professional with over 20 years of broad-based experience in facilities management, real estate portfolio management, process & quality improvement, procurement, workplace services, program and project management, space & occupancy planning, sustainability, information systems implementation, and critical environment operations. 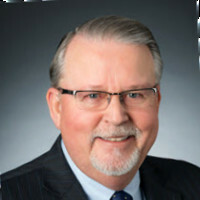 An accomplished communicator, he has presented at international FM conferences, published articles and a contributing author of the book “Technology for Facility Managers.” Dean is an active industry advocate; serving in a number of volunteer leadership roles as a member of the International Facilities Management Association (IFMA), the IFMA Foundation, and the U.S. Green Building council. He is currently a member of IFMA’s Global Board of Directors and chairs the Environmental Stewardship, Utilities & Sustainability (ESUS) Community. Dean can be reached by email at mdstanberry@comcast.net.